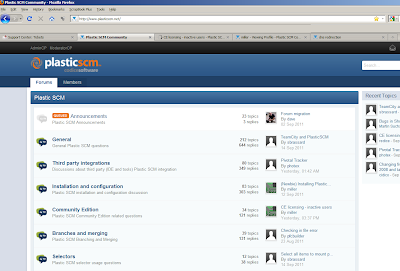 Plastic SCM blog: Plastic SCM new forum - online! 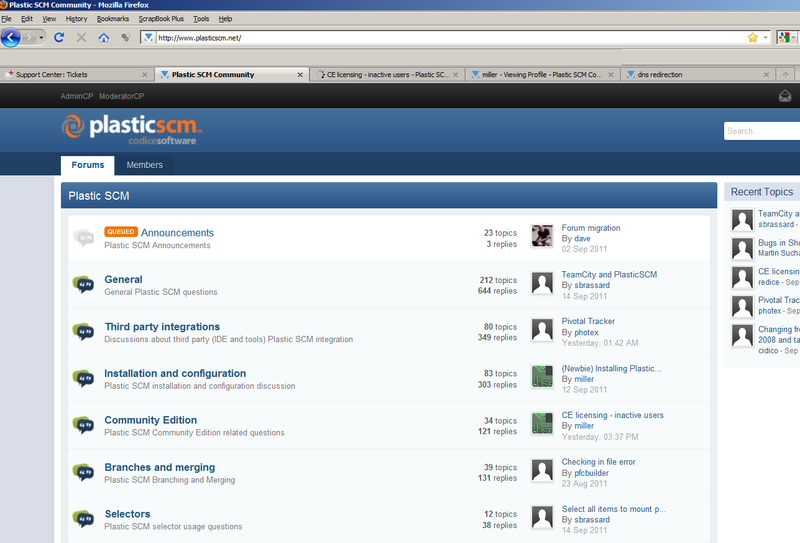 Plastic SCM new forum - online! We are pleased to announce that we migrated our old forum which was based on "YAF - Yet Another Forum" to a much better one (IP.BOARD) from www.invisionpower.com . The old link should be the same, since we redirect to the new forum, but just in case your link is still redirecting you to the old - non existent forum, try inserting http://www.plasticscm.net and update your bookmark. Users + password have been migrated, but with the new system, generating "requesting" a new password is a 1 minute job, fully automated. We hope you enjoy the new forum as we do, and feel free to share your ideas there with the Plastic SCM growing community.